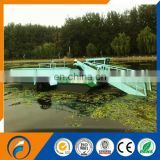 This equipment is mainly used for the aquatic weed harvesting and water collection, water filtration, storage, transportation. 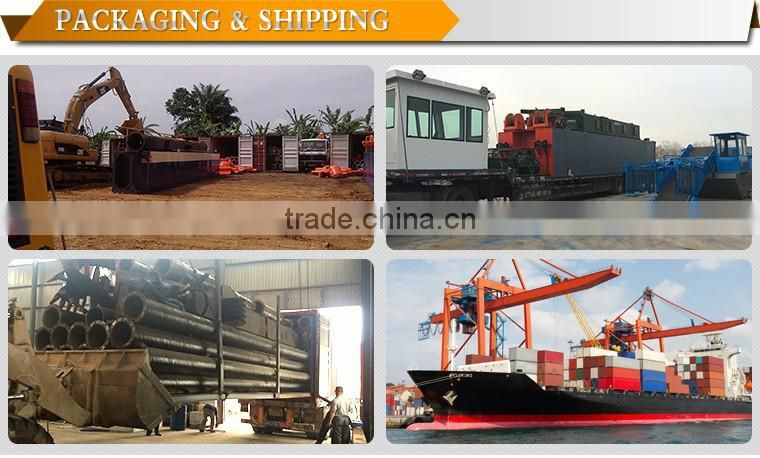 This equipment is single bottom, single deck, and transverse frame welded steel structure. 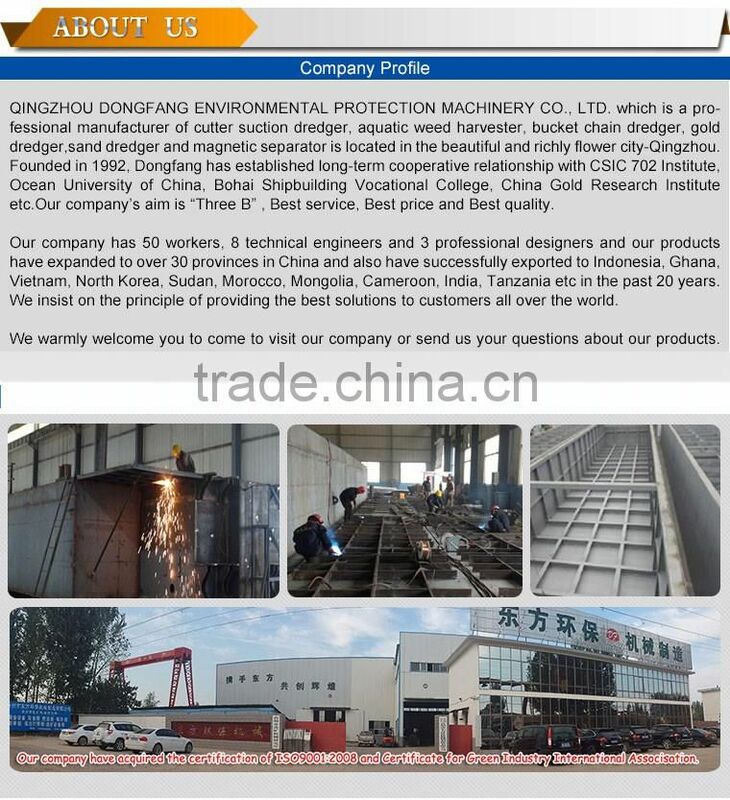 Before the collection tank equipped with mechanical collecting wheel, cutting wheel, cutting collection scissors, front, rear conveyer belt, in the load-bearing ability of stainless steel materials, can be continuous and stable operation, the entire collection, storage, transportation, fishing, uninstall the realization of full hydraulic automation. 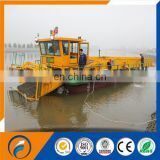 The ship is driven for full hydraulic wheel propulsion, can realize stepless speed regulation, forward and backward, and 360 degree U-turn in situ, also can freely turn around even in the narrow waters. The whole volume of the class garbage storage is 14m³. 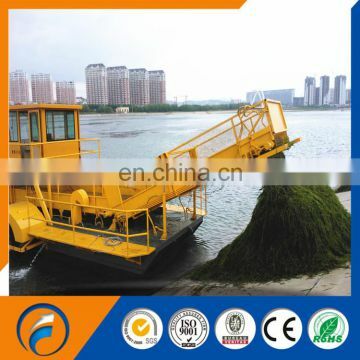 When it reaches full capacity, in the reservoir can be directly to the salvage garbage collection and aquatic plants are transported to the automatic water transport ship above water 2.5 meters on the shores of the garbage transport vehicle. In addition, after the delivery of cabin is provided with a water tank, which can avoid sewage overflow on deck. 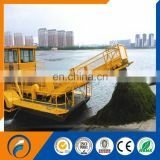 The working principle is through the gear distributor control multi-way hydraulic device, using the hydraulic pressure can be automatically controlled cutting collecting wheel, cutting collection scissors, the bay water depth before and aft elevator, before and after the set module conveyor chain operation, etc., all actions are able to work alone or at the same time coordination. Engine flywheel end drives a double-pump hydraulic oil input to the manual control valve, operating the reversing valve block hydraulic oil into the oil motor to drive rotating paddle wheel, make equipment forward, stop, back and adjust the sailing speed and change course. 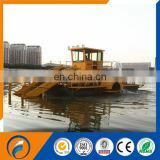 This equipment is fully hydraulic operation. 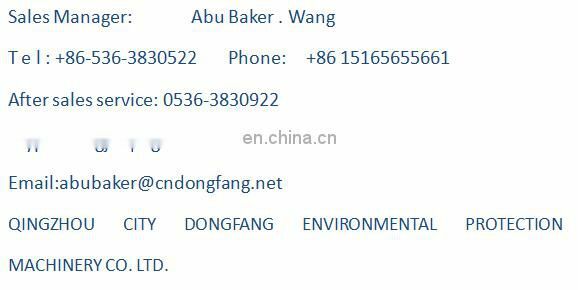 The hydraulic system which drives directly by the high-performance diesel engine drives the hydraulic pump of loads sensitive, then the oil pump produce the fluid pressure that drives the gear. The load sensitive hydraulic system can balance the power of the engine automatically. It can use the energy in a most effective way and reduce the heat of the system. 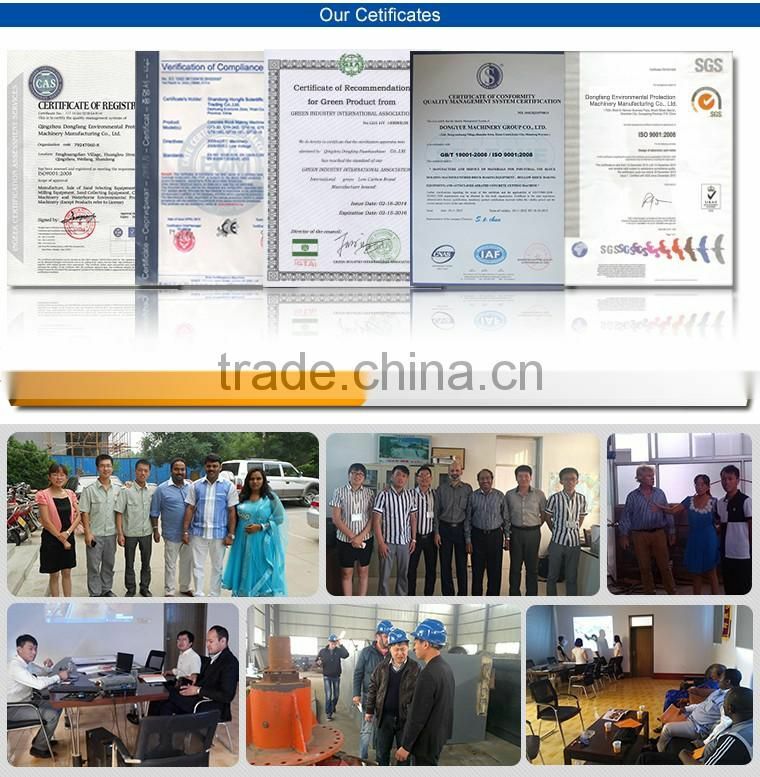 It can output the flow according to the load of the system in the most economical way. 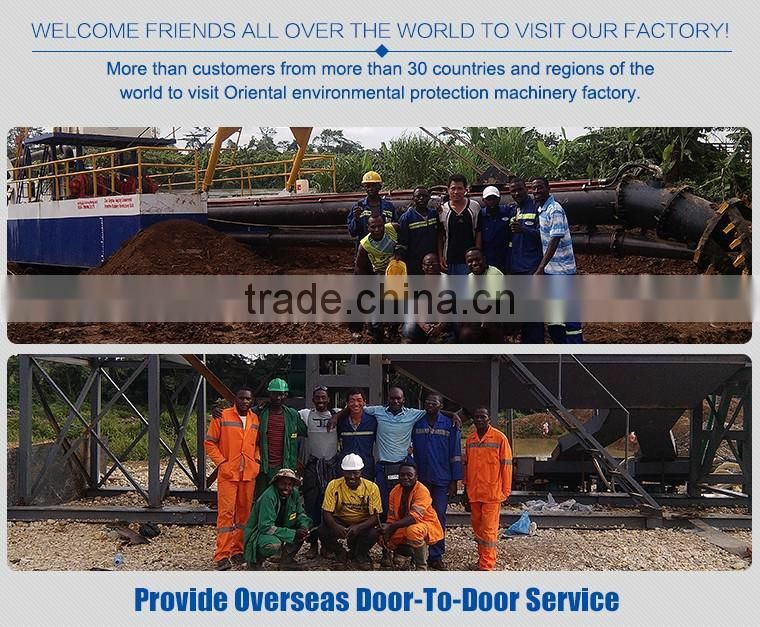 The equipment has an advantage of high power, low energy consumption, low energy loss and easy operation.